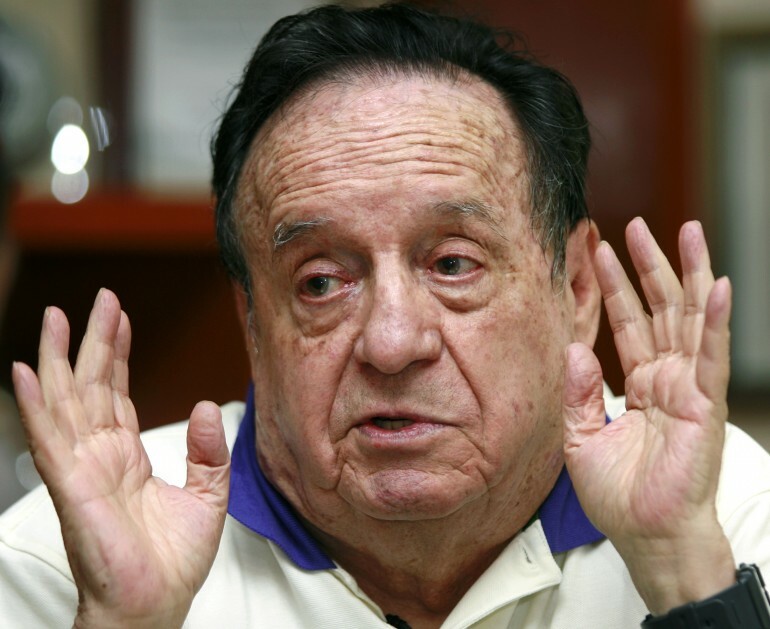 With a sad heart, we said goodbye to Roberto Gómez Bolaños, also known as Chespirito. He died on Friday, Nov. 28 from heart failure at his home in Cancún, Mexico. He was 85. On Saturday, Televisa, home of his greatest shows and characters, organized a funeral inside the studios where he spent most of his time. After landing at the Toluca airport in México City his remains were transported to Televisa San Angel where hundreds of celebrities paid their respects to the late actor. Everyone gathered at "La Plaza De Las Estrellas" to remember and say one last goodbye to "Chespirito." His widow, Florinda Meza was there, as well as Carlos Villagrán (Quico) and Edgar Vivar (Sr. Botija). On Sunday, Chespirito’s remains were taken to the Estadio Azteca for a massive memorial service open to the public, where thousands gathered to pay their respects and say one last goodbye to this comedic legend. Although Chespirito might not be with us anymore, his famous quotes and phrases will forever be engraved in our memories and hearts. Here are just some of them in Spanish.